“[Name] would often work 10 hour days. Only four of those hours would be paid. [Name] would turn up to help out at midnight launches and wouldn’t get paid. Sometimes [Name] did it because she wanted to. Many times because it was expected of her. The whole article is like this — allegation after allegation of outrageous and possibly illegal managerial behaviour inside EB Games, with the company not taking appropriate action to stop it. When I was a teenager, I worked in retail too — but I certainly I never saw anything like this kind of behaviour in the retail chain where I worked (Big W). I found this article shocking and confronting. I don’t personally know to what extent the article is accurate. Serrels is a very good journalist with a good reputation, but we only rarely see this kind of highly emotional, highly personal article published by a mainstream media outlet. I highly respect his writing, but in my experience, emotional stories from former employees do also need to sometimes be taken with a grain of salt. It’s a difficult situation. I don’t quite know what is going to happen from here, but I do know one thing: This is very far from the end of this story. Serrels appears to have let a very big genie out of a bottle, and there is going to be quite a bit of havoc from here on in. At the very least, I would expect EB Games to be considering its legal position regarding the article — I hope Kotaku is firm in its facts here. I would also expect more EB Games employees to come forward about this issue with further allegations. In my opinion, no matter what, the company will need to start responding to the issue publicly and transparently. Otherwise the higher authorities are going to start to pay attention and the issue is only going to get larger and larger. If there is even a kernel of truth here, the situation cannot be left to fester — it needs to be addressed straight away. 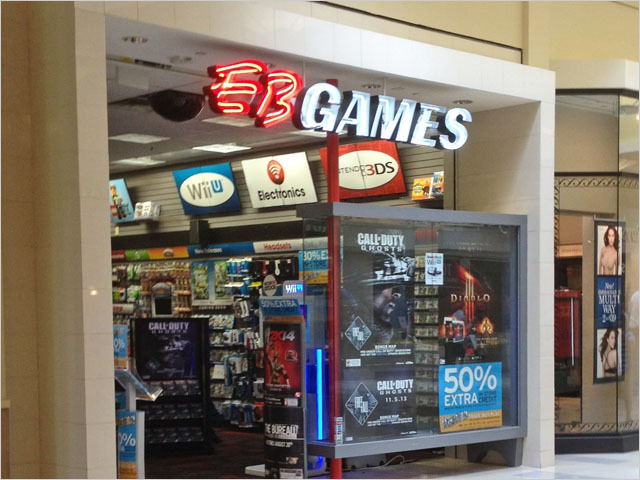 “EB Games goes above and beyond to provide our employees with a safe working environment. We have a zero tolerance on bullying and harassment of any kind. EB Games is committed to the ongoing education of all staff to ensure that they are aware of the HR and personal support that is available to them. We would like to reassure all employees that all official complaints reported will be thoroughly investigated and a zero tolerance stance taken”. At least one of the allegations referred to in this article was already well known, and had been reported on by the Sydney Morning Herald back in May. I don’t recall that story getting a lot of traction at the time, so I hope that getting it more exposure in the enthusiast press might get some real attention on the problem in the industry. Agreed. It did add some new accusations, but at the same time a lot of it was rehashed from the article in May. Just a quick note to let people know that I will not be allowing names of people mentioned in the linked articles to be published on Delimiter — this is a potential legal situation. Renai, I’d be very, very careful about using Kotaku (or any of Gawker media for that matter) without cross-checking the facts against other, more reputable sources. Mark Serrels actually works for Allure Media, an Australian company that licenses some Gawker content. Allure seems to be run much better than Gawker is. Given how badly damaged the Kotaku brand has become, maybe they should consider distancing themselves? But either way, it’s good to hear they’re Allure and not Gawker. I don’t know about Gawker in the US, but Serrels is an excellent journalist of good repute — I respect him highly. He does a very good job with Kotaku in Australia and has a strong following as a result. From scuttlebutt I’ve read, they’ve considered it for those reasons, but launching a new brand, and thereby giving up on the news content and redirect from the US site, with the fairly lean operation they’re running didn’t make sense at the time. Jeremy: Kotaku Australia has nothing to do with Gawker – it licenses the name from them but the website is run by the 100% local Allure Media. I worked at EB Games in 2004. Like stated in this article, it was my dream job to work at EB Games. I basically walked straight into an Assistant Manager role which at the time I thought was too good to be true. Turned out, it was too good to be true. I was only there 3 months. I can TOTALLY understand (and confirm) a lot of the points in this article. I spent 25 minutes reading the four pages of comments. So many people say “yes, I worked at EB and yes it was that bad”. It’s worth reading them for yourself. If you are going to let this genie out of the bottle, that’s how to stop it turning on you. Nothing new, and some of it not what I would call systemic. The title and some parts makes it sound new, like it is happening now, all the time, and affects every store. That isn’t true. Knowing enough staff who work all over, to me this sounds like a regional area issue that was not dealt with correctly, but then the people involved didn’t report it as it should be IMO. Some things bypass HR and are straight up police matters.